In your eagerness to sell, you presented to someone that couldn’t really buy and for some reason wouldn’t tell you so–and you failed to get them to admit it. True, they may have presented themselves as a decision maker and mislead you deliberately. This kind of thing can happen. It’s a tactic taken by gatekeepers who want to learn everything about your product before they risk presenting it to their boss. It’s also done by talkers who are just interested in learning about your product, and who mislead you so that you’ll teach them everything they want to know about your solution. Disqualification is the art of systematically challenging a prospects ability to actually purchase your product. 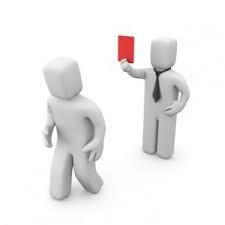 The goal of disqualification is to get them to admit it and indicate who the actual decision maker is. So, how do we expose someone who you suspect is falsely portraying themselves as the decision maker? Nothing clarifies who’s who better than asking them to describe how the organization actually buys tools. If they don’t know this, then they are either brand new to the organization or simply don’t know anything at all–in any event deal making will not be possible any time soon. So, what is the established process for buying a product like ours? You have to know what types of roles buy your product and what rank they typically have to hold in order to be a budget holder. If 95% of your deals are sold at the VP level, then the Manager level person you’re speaking with isn’t likely the right person no matter what they say. You have to challenge their profile. So, typically we find that purchases like this are usually made at the executive level, is that not the case with your company? Who do you report to…would they need to be included in subsequent conversations? If you’re selling a technical solution, then often candidates for disqualification will have a non-typical need for your solution. In other words, they have a use in mind for it that doesn’t really make sense. They haven’t thought it through and are either just trying to find an excuse for continuing the conversation or don’t know how to tell you that the conversation isn’t going anywhere. You have to challenge the need. That’s an interesting use of our solution; it’s not the most common way of using us. How would that use help your individual performance KPI’s? That’s a unique way of putting us to use…it’s different but interesting…now, how would we get buy-in within the organization for putting our core benefits to work? Disqualification is about eliminating someone as a prospect when your traditional qualification methods have failed. It’s a deliberate pressure test on your prospects ability to purchase your tool. Naturally, the context and delivery of your diagnostic questions should be done with savvy, so handle with care! This entry was posted in Productivity and tagged diagnostic questions, disqualifcation, qualification. Bookmark the permalink.